It was a pleasure working with Rod and Andrew to bring their new website to life. 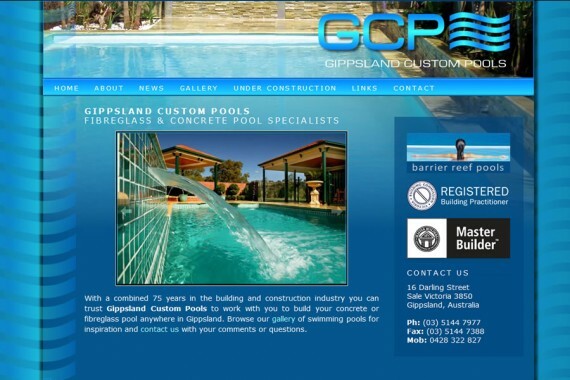 Gippsland Custom Pools was designed to be eye catching and easy to navigate. If you’re in the Gippsland area and you’re considering building a new swimming pool, let me recommend the crew at Gippsland Custom Pools.